 The residential and dementia care offered at Abbeleigh House is highly personalised to resident's holistic needs, focused on improving overall health, wellbeing and quality of life. We take pride in care planning to ensure our approach is reflective of personal needs and preferences. The care team at Abbeleigh House have worked together for a number of years, which gives resident’s continuity of care and peace of mind for everyone. Family and friends are welcome to visit their loved ones at Abbeleigh House throughout the day, with family participation events regularly organised to make family and friends welcome members of the Abbeleigh House family. Whether you are interested in short term respite care or long term specialist care, we have a range of rooms and care-packages available to suit your requirements. importance. At Abbeleigh House, residents are given the option of single private rooms or double rooms all of which have washing facilities. As well as being fully carpeted, the rooms are fully furnished easing the transition for residents moving into a new environment. To ensure the residents are feeling fully pampered, hairdressers and chiropodists are present daily to meet individual requests. Staff are also on hand to aid with any shopping requirements of residents which were not met during the enjoyable outings. "We are always welcomed at anytime with a coffee and a smile"